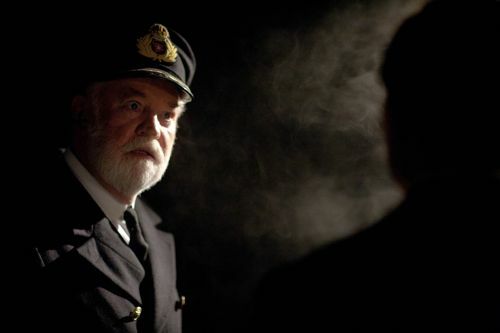 David Calder as Captain Smith. Regular readers will know that I spent a week on set in Budapest back in July. 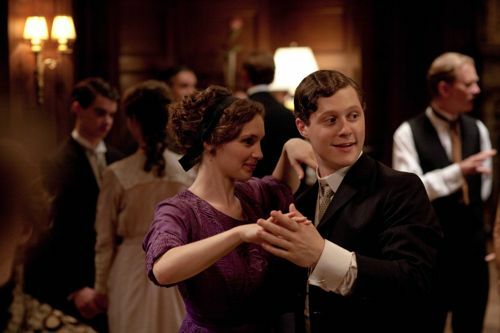 Interviewing 16 members of cast and six other Titanic figures, including writer Julian Fellowes who was also visiting the incredible Hungarian film set at the time. Later catching up with producer Nigel Stafford-Clark and director Jon Jones in London. Producing a grand interview transcript total of 85,000 words. You can read more about that at Titanic Set Visit. Perdita Weeks as Georgiana and Noah Reid as Harry Widener. 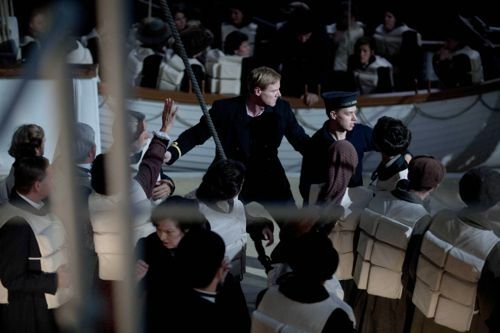 ITV1 will broadcast Titanic in four parts. The TV drama tells a much wider story than James Cameron’s 1997 movie and sees the ship hitting the iceberg near the end of each of the first three episodes. Then returning in the next episode to a fresh starting point and another perspective on the story. Before we discover the fate of all of the characters in the fourth and concluding hour. 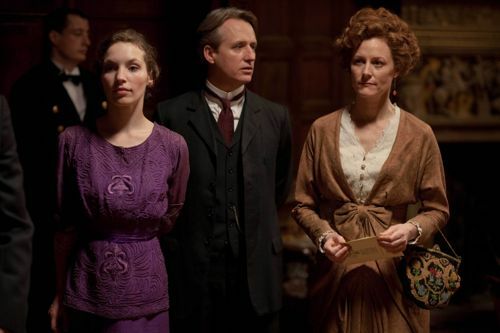 Perdita Weeks as Georgiana, Linus Roache as Hugh, Earl of Manton and Geraldine Somerville as Louisa, Countess of Manton. 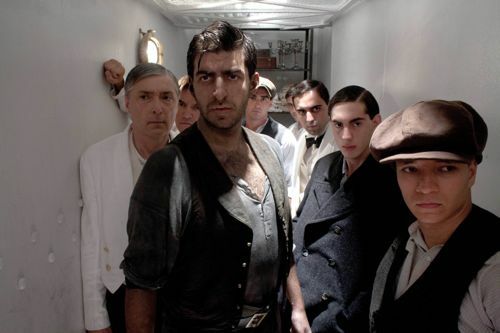 Posted in News, Titanic and tagged Antonio Magro, David Calder, Geraldine Somerville, Jon Jones, Julian Fellowes, Linus Roache, Maria Doyle Kennedy, Nigel Stafford-Clark, Noah Reid, Perdita Weeks, Steven Waddington, Titanic. Bookmark the permalink. Where is the boat deck? I mean, they never show us the boat deck in the stills and in the trailer. I’m looking forward to watching this mini-series. The idea of showing the disaster from different POVs by ending up the first three episodes with the collision of the ship with the iceberg seen by people from different parts of the ship because when one is on such a huge ship as Titanic one only sees what’s going on in one’s vicinity and one has no clue what it’ all about in general. That’s why the testimonies of survivors often differ a lot which is why it’s a smart move to tell the story seen from different aspects. Please, forgive me for my English.